As labor costs continue to rise across the restaurant industry, operators have to deal with tighter and tighter margins. During times of tightening, operators tend to dig into the numbers even further and scrutinize every dollar spent and every dollar saved. 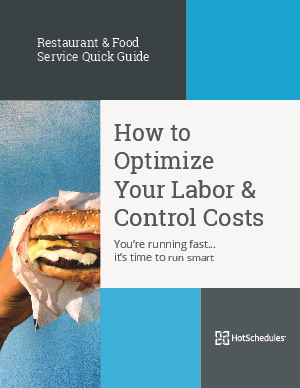 In this eBook, you’ll find simple yet effective ways restaurant operators and managers can cut labor costs while optimizing your people, performance and profits. all of these small changes add up to big savings.